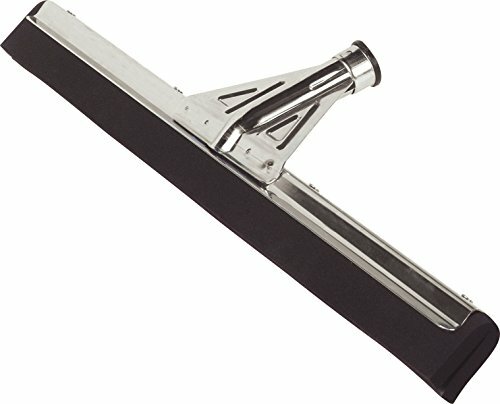 Carlisle soft foam rubber squeegee with heavy duty metal frame and threaded socket. Soft, double foam rubber blade is designed for use on uneven, grouted and smooth surface floors. Black foam rubber squeegee is perfect for all around floor cleaning. 22-inches length.